Foto di copertina/ Cover photograph: Marangone dal ciuffo Phalacrocorax aristotelis immaturo. Arcipelago di Tavolara, Sardegna. Aprile 1992./ Juvenile Shag. Tavolara archipelago, Sardinia. April 1992 (Roberto Meloni). The breeding birds of Is Arenas (West Sardinia). The bird species breeding in the Is Arenas pine wood area were investigated during spring 2001. Visits to the area were carried out from the beginning of March to the beginning of September. From late May to the beginning of June, bird communities were investigated by means of point counts in a pine wood, in a bush area, and in open habitats. The species we found, are listed in Table I, and the community parameters in Table II. Additional species are listed in Table IV. Nocturnal birds were also censused (Table III). In agreement to the fact that pine woods and open habitats are poor habitats, the number of recorded species was low. However, several species of conservation concern were found (Table V). Most of them were in open habitats that, therefore, deserve to be preserved. A high percentage of non-Passeriformes was observed. Particularly abundant were the Great Spotted Woodpecker and the Collared Dove. Nightjars were mostly recorded in open habitats including a golf course, and in the less dense parts of the pine wood. Waders at Capitello pound (Western Corsica, France) from 1982 to 2000. We describe when it is possible to watch the 37 species recorded at Capitello pound from 1982 to 2000. It was nearly all, the corsican species: 39 since XIXth century; 9,380 records are registred by the author. It was the maximum for a corsican site, and the most visited during 19 years. This migrants were commonest in spring, from March to May: 5,558 records of 35 species, with 2,462 records of 34 species in April. The come-back to wintering areas was less interesting, except for four of them. The commonest wader is Common Snipe with 1,367 records: 14.6 % of all. 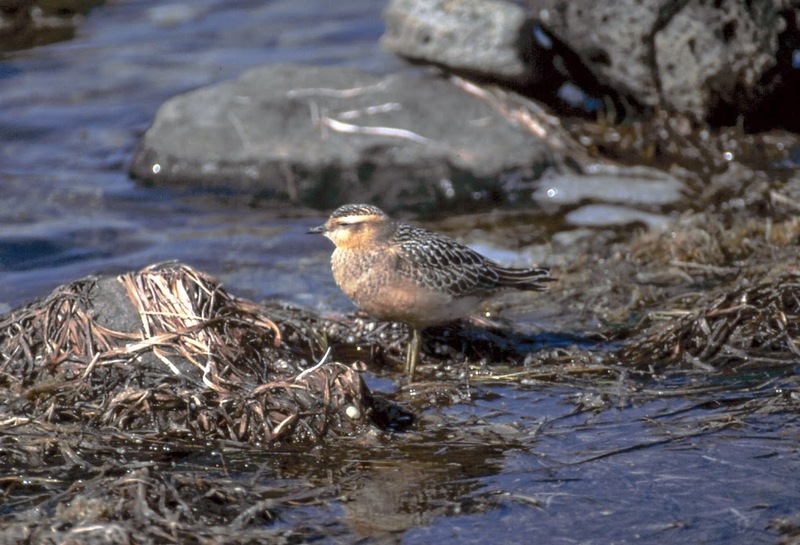 And the rarest are: American Golden Plover, Dotterel and Broad-billed Sandpiper with only one record for each. Effectives are small or very small for practically all the species: for more than 43% numbers are less than 10 specimens, and for only one we can watched more than 100 birds at the same time. In fact, with demonstrate that Capitello is a small site, poor in resources. It was probably at least, equal in interest with the others pounds and rivers mouths of Western Corsica. Finally, we explain the two factors that influence the occurrence of the waders on this pound. They are: lack of resources and hunting pressure from mid-August to end of February. Record of a Eleonora’s Falcon partially albino. It is described an Eleonora’s Falcon partially albino observed at Isole Eolie, Messina, Northern Sicily on August 1998. On August 19th we were observing the breeding colony of Eleonora’s Falcon at Isola di Salina when we noticed an abnormally coloured individual. The bird was an adult female of the pale morph. It shown brilliant white outer three secondaries, whole primary-coverts white, one inner secondary white on left wing, white head, breast and upper mantle. The white of the head was less pure and brilliant, a hint of the face pattern (like the moustache mark) was barely visible, with the typical marks washed out. 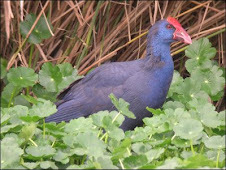 The bird was normally breeding, being paired with a normal dark morph male and being observed several time on a nest hole. This is only the fourth record of abnormally coloured Eleonora’s Falcon known in literature. Predation on bats by the Eleonora’s Falcon. In August 2000 an interesting hunting behaviour of Eleonora’s Falcon has been noticed at Alicudi Island, Eolie archipelago, (Messina, Northern Sicily). From 4th August to 10th some individuals of this falcon have been observed each day hunting at sunset and during the early night (around 9 to 10 p.m.). The falcons have been observed while catching nocturnal insects and on four occasions some bats. The hunting on nocturnal insects was already been documented in the Eolie Island in the past, but the hunting of bats is poorly reported in literature and there are only few references, never for Sicily before. Individuo immaturo di Piviere tortolino Charadrius morinellus. Laguna di Mistras, 29 agosto 2001./ Immature of Dotterel in the lagoon of Mistras, 29th August 2001 (Maurizio Sighele). La rivista di ornitologia e birdwatching della Sardegna edita dal Gruppo Ornitologico Sardo. 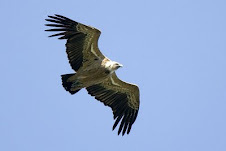 The Editorial Board of Aves Ichnusae will consider for publication original papers which contribute to the body of knowledge on distribution, breeding biology, behaviour, identification etc., of the birds of Sardinia and the Area of Central Mediterranean. Articles and notes on description of recent rarities, detailed bird-finding articles, birding accounts and notes on any subjects likely to be of interest to birders and ornithologists of the Region are welcomed for publication. Except for records of rarities, submissions are considered on the understanding that the paper has not been previously published and is not being offered for publication elsewhere. Submissions should be typed on A4 paper, double-spaced, with two wide margins, and on one side of the sheet only. Please state the name and version number of your word processing program. Photographs and drawings are welcomed. In case of any difficulty, please contact the Editors. Authors will receive galley proofs to check for typographical errors. Authors should carefully consult this issue for style of presentation, especially of references and tables. 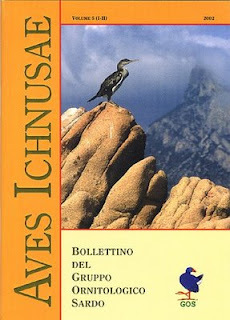 Aves Ichnusae is published once-twice yearly, it is issued free to members of the Gruppo Ornitologico Sardo. Further copies are available from the Editorial secretary.